In their Inaugural Manitoba Junior B Hockey League season in 1976-77, the Transcona Railers quickly established a competitive program losing to Gimli in the league finals. 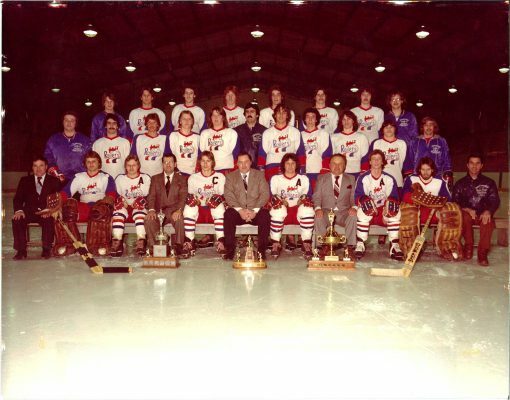 By 1978 the team had claimed their first league championship, losing the Provincial final to Flin Flon. In the 1979-80 season the Railers were determined to repeat and then some. Sweeping the Beausejour Comets in the semi-finals earned them a date with the Selkirk Fishermen for the league's Carillon Cup. The Railers took the league title series 4 games to 2 earning the right to meet Brandon for the Provincial title. The Brandon squad was no match for the powerful Railers who took the Provincial title and Baldy Northcott Trophy in 3 straight games. The Railers advanced to the Western Canadian Jr. B Championship tournament hosted by Selkirk Fishermen. The Railers took the first match with Selkirk 6-4 before outscoring Notre Dame Greyhounds 8-6. Destroying Schreiber Ontario North Stars 17-5 earned them another title match with the Fishermen. The clubs traded leads throughout the final game before the Railers scored the winning goal with less than two minutes to play and claim the Western Canadian Jr B title.